Everything you need to know about this smoothie recipe is in the title. It has chocolate. It has banana. It has peanut butter. It is a smoothie. But, I didn’t mention that it is a super quick easy breakfast filled with protein. This smoothie has lasting power. 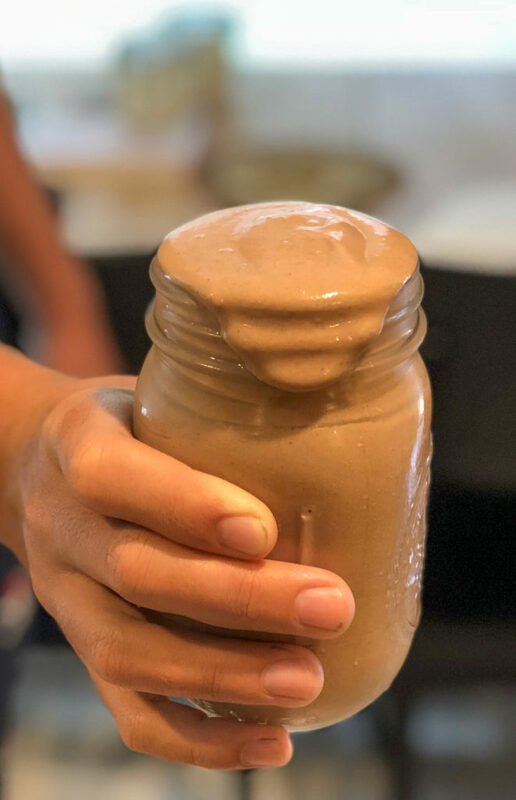 We use Vega Chocolate Protein Powder and it gives it just the right amount of chocolate flavor without that yucky protein powder after taste. The key to this is frozen bananas. I recommend putting very ripe bananas in Ziploc bags in the freezer over the weekend so they are ready for you to pull out and use during the week. Perfect for a hearty breakfast or for a snack during the mid-afternoon slump. This chocolate, peanut butter, banana smoothie has everything you need. 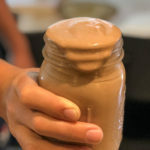 Add everything to the blender, and process! If it seems a little bit thick, feel free to add a bit more milk.